The wolf is a native species of Finland, but humans hunted it almost to extinction in the 1970’s. 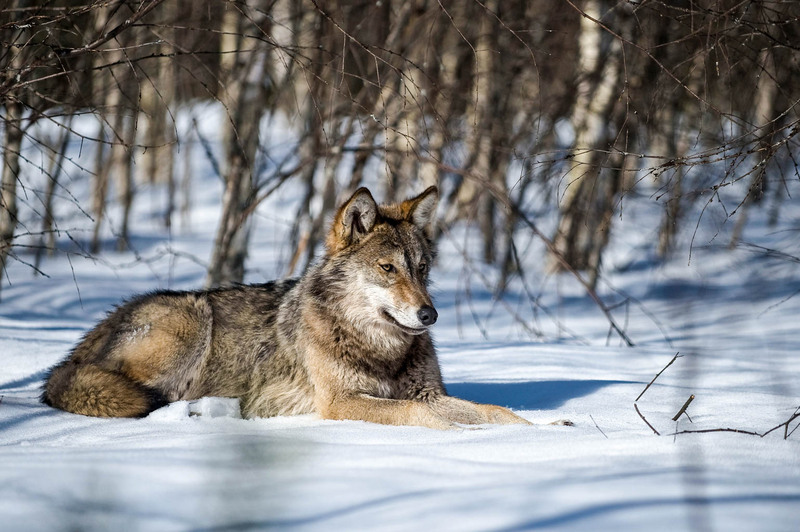 After it became a protected species, the Finnish wolf population has slowly grown since. Yet, at the same time poaching continued to be ever present. While trying to solve the poaching catastrophe, the Finnish Ministry of Agriculture and Forestry permitted wolf culling in 2015 and 2016. The effects are simply disastrous for the wolves. Between 2006-2010 people killed about 15 percent of the total wolf population in Finland every year. Most individuals died due to poaching. In 2014, just over 100 wolves continued to live in the country. To tackle poaching and to gain more social acceptance for wolves, the Ministry of Agriculture and Forestry allowed wolf culling in 2015 and 2016. Many nature conservation organisations opposed the decision without success. The first culling season costed the lives of 17 wolves, including 3 alpha individuals. Killing alpha individuals weakens the wolf pack dramatically. Less effective group hunts increase the risk of packs falling apart. As a result, the wolves wander in search of a new place to start their own pack. Besides the 17 culled wolves, another 25 died in accidents and from derogation-based and police-controlled permits. In fact, these permits have been granted without a favourable conservation status for wolves in Finland. This actually means that Finland did not comply with EU laws. To make matters worse, these numbers do not include the three wolf packs that miraculously disappeared from the southern regions. The Finnish authorities considered the wolf cull as a success. The population had grown slightly and surveys suggested that fewer people thought that wolf poaching was acceptable. As a result, the Ministry granted even more permits for 2016. This backfired. People killed 40 wolves in the culling season of 2016, besides the 38 that died from other reasons. The Ministry advised hunters to kill young wolves and to avoid killing alphas. Nevertheless, hunters shot a striking number of 20 alpha wolves. Killing so many alpha wolves could not be accidental. Even the Finnish authorities admitted that the 2016 wolf cull failed. The Ministry did not allow another culling season as such after that. However, the Finnish Wildlife Agency continues to grant hunting permits for derogation-based reasons. The problem is the Agency grants permits for social reasons, like human fear. A wolf apparently has to die because humans are afraid of it. In addition, police-controlled permits target those individuals that ‘might’ be dangerous. The police regards a passing wolf near a town as such, for example. Often, hunters track these wolves for days and kill them far from settlements. The Wolf Action Group investigated the permissions of all derogation-based hunting permits of 2016-2017. The results, published in a report found below, show that people did not fully use non-lethal alternatives. This means that the permits should not have been granted in the first place. In addition, their analysis also demonstrated again, that culling definitely does not increase social acceptance. Even today, poaching is still a big issue in Finland. People continue to hunt down wolves that form no threat, including alpha individuals. We know from other examples in Europe that trying to suppress the wolf population only creates more problems. The wolf is a natural and beneficial part of the European landscape, and can help to restore balance in nature. Europe has to learn from Finland’s mistake of culling wolves. Each country should work towards a future where humans and wolves coexist. Investing in proper livestock management is thereby crucial. This posting was guest written by Mari Nyyssölä-Kiisla, chairman of the Finnish Nature League’s Wolf Action Group.